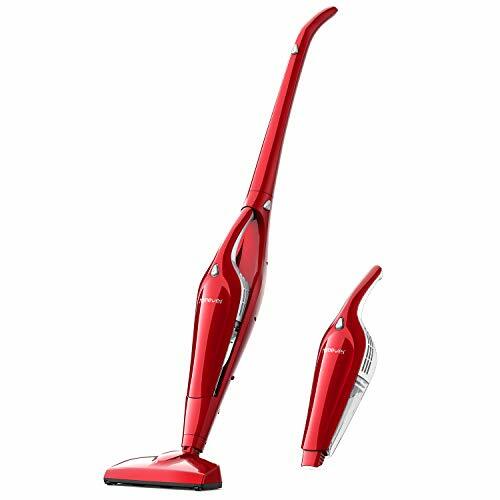 【2-in-1 Cordless Vacuum】:The Homver vacuum cleaner is lightweight , portable, powerful and easy-to-use, it is easy to move and carry around. 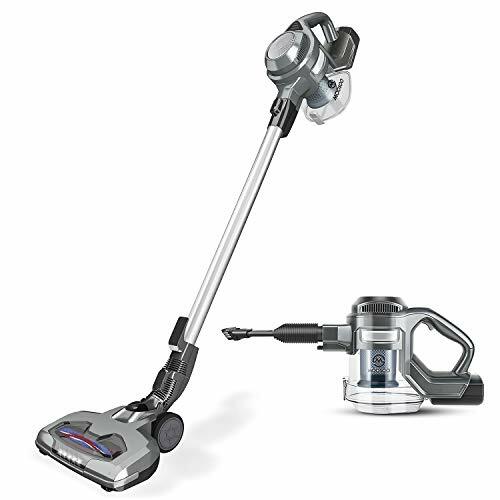 This unit provides 2 convenient vacuum cleaners in one. 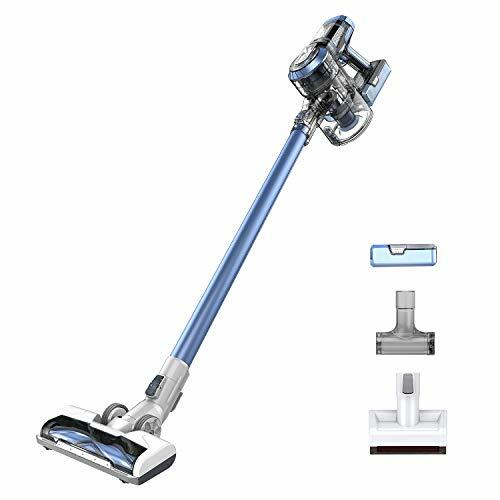 You can choose from a canister stick vacuum to effortlessly clean your floors and stairs or remove the hand vacuum to easily access pet hairs, dust, crumbs from your furniture, shelves, and couches. 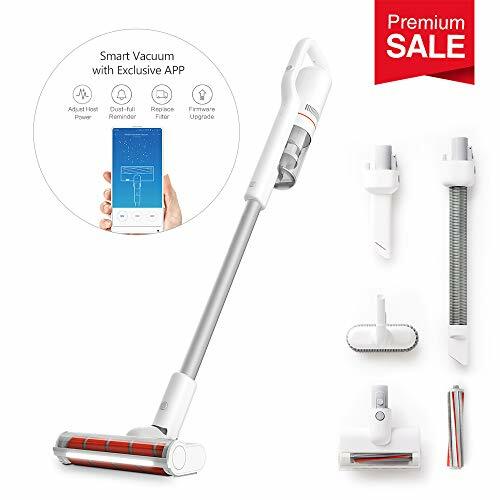 【Rechargeable & Powerful】：Cordless vacuum cleaner comes with a charging base and has a long-lasting 25.6V 1800mAh Li-ion battery that runs for up to 18-25 minutes on high power. With its practical charging base, recharging is as easy as it gets, simply connect the unit to the dock and a green light will let you know when it is fully charged, no cumbersome and bulky cord to plug in, without the inconvenience of tangling cord in your way. 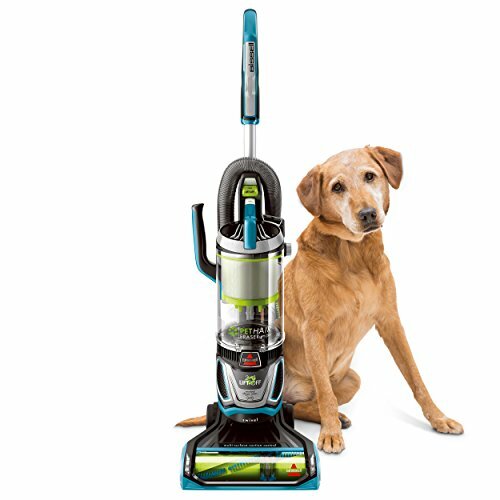 【Removable and cleanable HEPA filters】：Comes with 2 Removable & Washable HEPA Filters for long term use, traps 99.9% of dust and allergens inside the vacuum. 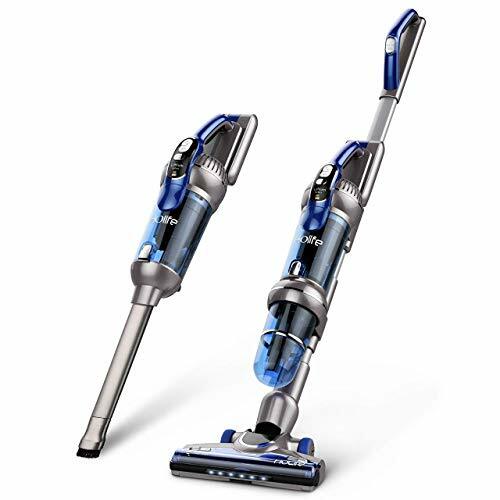 To clean the dust container, simply press the release button, take out the filters and empty the dust container then rinse both of them in water and air dry them. 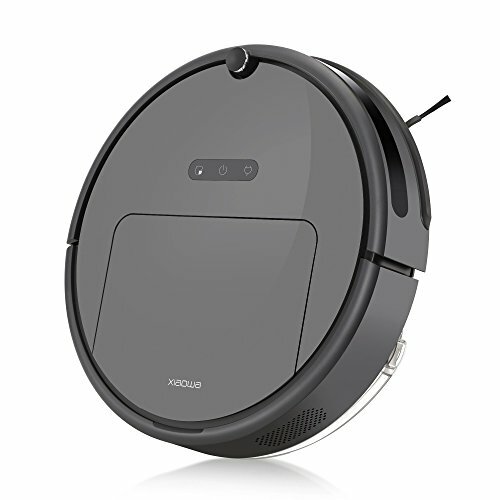 【Portable & 90 degree rotation】：With foldable handle vacuum cleaner ,90-degree swivel-glide maneuverability, effortlessly maneuver around corners and under furniture. 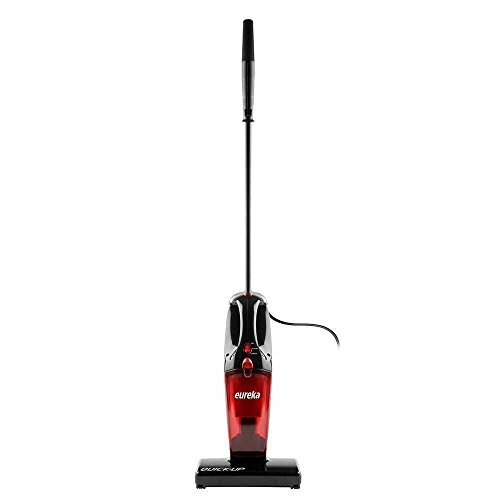 Ideal for cleaning under beds, tables, and chairs.